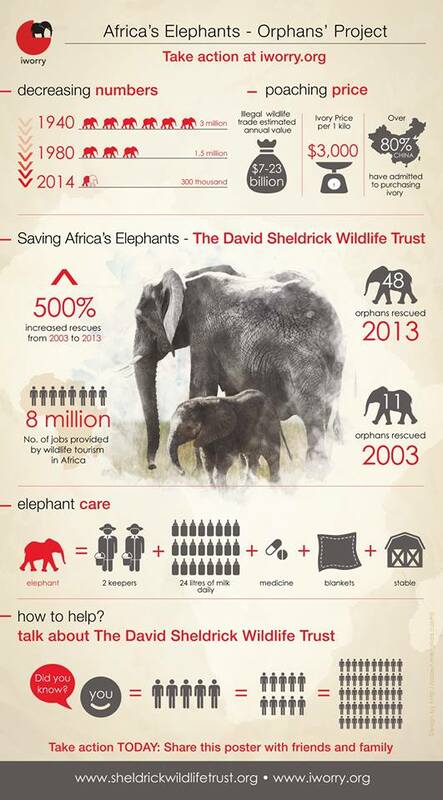 The thing about elephants is…..
once you start advocating on their behalf it’s hard to stop. How do you say ” I can’t do this, it’s too hard” .So I don’t. 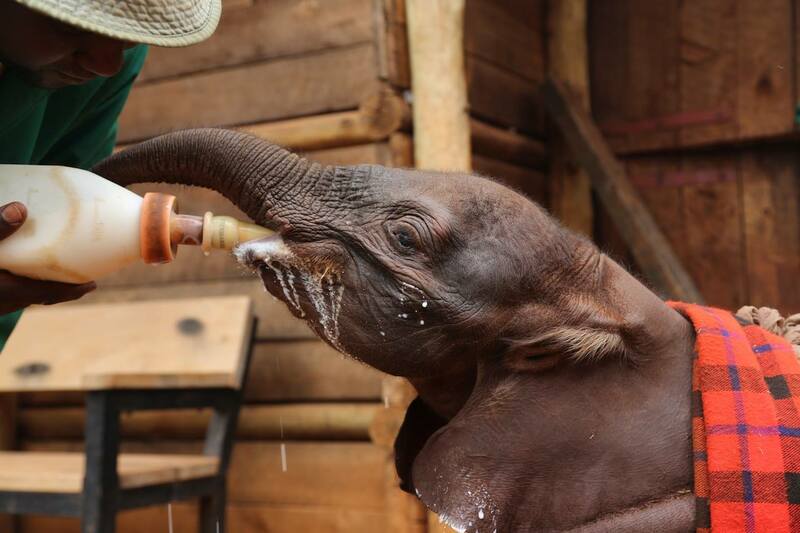 Here forthwith is the cutest and youngest baby elephant ever rescued by the David Sheldrick Wildlife Trust. Watch amazing video of this baby at the end of this post. Last week our teams were called to the Ndoto Mountains to rescue the tiniest baby elephant we have ever cared for. Rescued by helicopter, this tiny bundle was delivered to the Nairobi Nursery wrapped in a blanket, his ears still petal pink. Our elephant keepers looked on in disbelief as this tiny package was unwrapped. We named him Ndotto after his home, a beautiful and remote mountain range in northern Kenya. Ndotto has not yet been placed on the fostering program, but we wanted to share a short film to show how he is doing a week down the line. We thank all those people involved in saving Ndotto and the kindhearted Samburu community who went to such lengths to keep him safe. hank you for contacting Hallmark. Thanks for expressing your concern about the inclusion of ivory on our anniversary gift list. The traditional anniversary gift list was created in the 1930s by the American National Retail Jeweler Association. Our article was intended to be informational, but we understand the concerns about illegal ivory products and want it to be clear that we don’t condone the ivory trade in any way. We are in the process of updating the list based on your feedback. We appreciate your taking the time to let us know your feelings. ACTION: Please EMAIL or CALL Hallmark to educate them that ALL ivory products come from slaughtered elephants and much ivory for sale is ILLEGAL ivory! Your website has ivory listed as the 14th wedding anniversary gift, an outdated and today often ILLEGAL item. 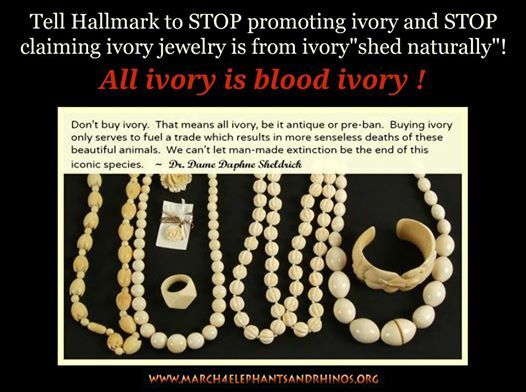 Furthermore, Hallmark is spreading the blatant falsehood that ivory jewelry comes from ivory that is “shed naturally from animals”. No, Hallmark, elephants’ tusks do not fall out naturally! Elephants are brutally poached for their tusks with poisoned arrows or gunned down in cold blood to make ivory jewelry. Elephants’ tusks extend deep into their skulls and their faces are hacked off, often while they’re still alive, to remove the entire tusk. 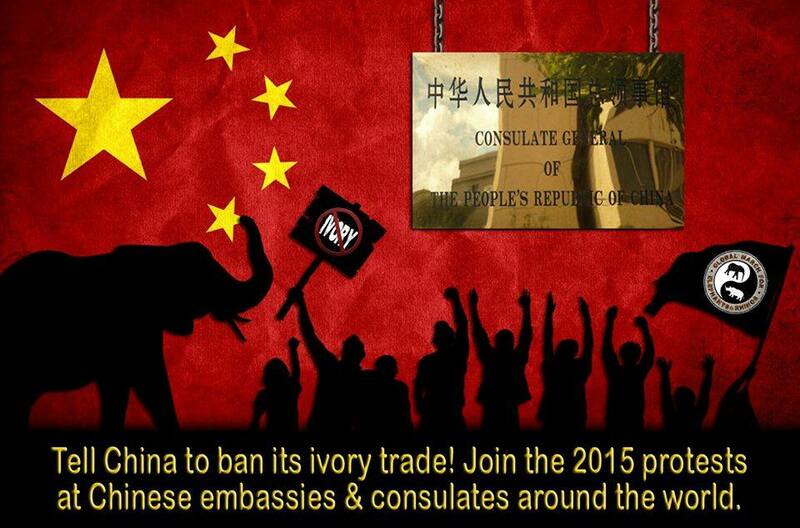 ALL ivory is blood ivory. An elephant is poached for its ivory every 15 minutes; that’s 96 elephants that are killed daily. Between 35,000-52,000 elephants are killed each year for ivory, and unless all ivory trade is banned worldwide, elephants will be extinct in the wild in 10 years or less. Your irresponsible website post supports this killing and justifies the illegal slaughter of this highly intelligent, self-aware and emotionally sentient keystone species for trinkets! Please find an alternative listing for a 14th wedding anniversary gift and immediately remove the inaccurate, misleading sentence: “Many pieces of beautiful jewelry showcase ivory shed naturally from animals. Look online for options.” Stop supporting and promoting the slaughter of elephants for ivory jewelry! Ignorance lives right next door. Please share.This is a good thing for people to learn. 90% of Africa’s Elephants have been killed in the past 74 years…..